Home / Holistic Health & Lifestyle Tips / Experiencing Anxiety? Try These Essential Oils. by Sarah BakerLeave a Comment on Experiencing Anxiety? Try These Essential Oils. Almost everyone I talk to says they are either stressed out, or have experienced (or are experiencing) anxiety. It *legit* seems like everyone and their sister is stressed out. Work can be demanding, having a social life on top of your workload can be demanding, as well as feeling like you have to “do it all” cause ALL you see on social media is everyone showing off their achievements and best highlighted moments. All this stress and anxiety leads to a slew of problems. Cortisol is increased when we are under constant stress, and chronically raised cortisol levels can really do a number on a body. Your concentration decreases, your digestive system goes all haywire, your sleep schedule gets all effed up, and you can even have issues with your monthly hormonal cycle. What’s even worse than stress though, is anxiety. I personally deal with anxiety from time to time, and I know a lot of other folks who deal with it as well. It’s SUPER common and not something you should feel like you have to hide or be ashamed of. It can really take a toll on our mental and physical well being and when I have periods of anxiety, I feel like all of my energy becomes depleted, I get bouts of insomnia and I limit my potential opportunities based on what I’m anxious about. As you know, I’m 100% for going the holistic/natural route when it comes to create both mental and physical health unless absolutely needed, so I do *everything* I can to calm my stresses and anxiety the natural way, without pharmaceuticals. One of my favorite ways to self sooth is by incorporating essential oils into my day, especially when I have a high stress/high anxiety experience. I’ve written about essential oils before, so if you need a refresher check out my articles on essential oils you can use every day, essential oils to help you breathe easier, essential oils for your skin, so now I’m adding on to the resources to talk about essential oils that you can use when you’re stressed out or experiencing anxiety! Taking a whiff of essential oils immediately hits our olfactory system which gives specific signals to our brain, which then creates reactions within our body that can be related to stress levels, hormones, heart rates and even emotions. 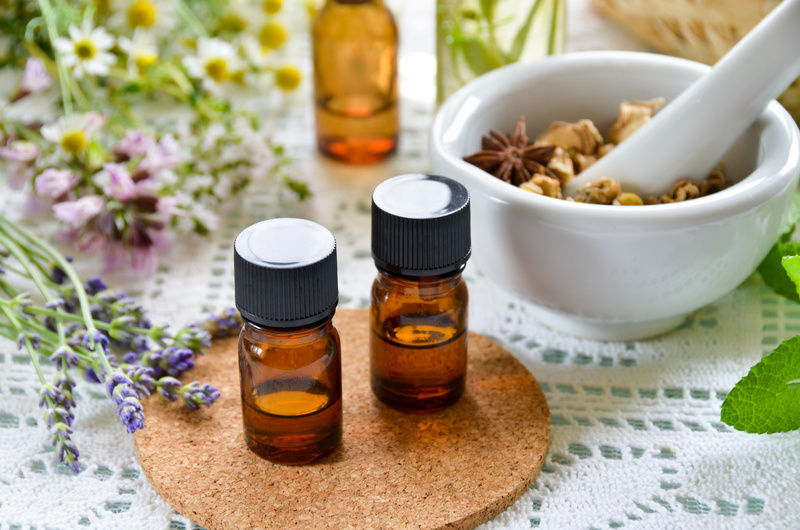 Essential oils that help with anxiety are intended to inspire our brain to create neurotransmitters that give us feelings of calmness or happiness like dopamine and serotonin. Here’s a list of essential oils that can do just that! Bergamot: Helps improve our mood and calm our mind. It can also help our response to stress and of course, anxiety. Lavender: One of the most popular and widely known essential oils. Lavender inspires feelings of calm and acts as a natural sedative. It helps calm our nervous system and helps us achieve inner peace. Frankincense: Besides helping with anxiety, it has been known to provide spiritual grounding energy and helps enhance meditation. Ylang ylang: A wonderful floral scent that provides a feeling of tranquility and uplifting effects. It helps some feel optimistic, happy and may help coping with fears. Vetiver oil: This oil has been used for trauma, panic attacks, and to provide grounding energy to those who use it. Rose: Has been used to help with depression, heartbreak, shock and even panic attacks. Chamomile: A very soothing floral scent that brings upon feelings of being in balance and can help ease worries. How to use essential oils for anxiety. Aromatherapy diffusers: I keep one in my home and my office, and use it daily! Again, when we inhale essential oils, our limbic system of the brain becomes activated and sends signals to our heart, hormones, and so many other systems of our body that either help calm us down or energize us. Using a diffuser is a super simple way to get the effects of aromatherapy. All you do is sprinkle a few drops of your essential oil choice into the diffuser and turn it on. In your bath: You can add 10-12 drops of your essential oil of your choosing to your next bath and inhale as you relax. Add to your oils for a self massage: You can add essential oils to massage oils like liquid coconut, almond, or jojoba oil and apply it directly to your skin for a calming self massage. Incorporate into your breathing exercises: Practicing breathing exercises already helps calm down a frazzled person, but incorporating essential oils to your next breathing practice can uplevel your effort. Place a few drops in your hands and rub them together, and breathe in the aroma while you breathe. Here is a good breathing practice to try if you’re a beginner. How do you incorporate essential oils into your routine? If you post on Twitter or Instagram tag me @balanced_babe or #balancedbabe and I’ll retweet/regram for the community!